I can scarcely believe that we are already almost through January! Thanks to all of you who stopped by to add your links to last week's party, and a "Welcome New Friends" to all of our new followers. And now, it's time to fill Tuesday's Table! 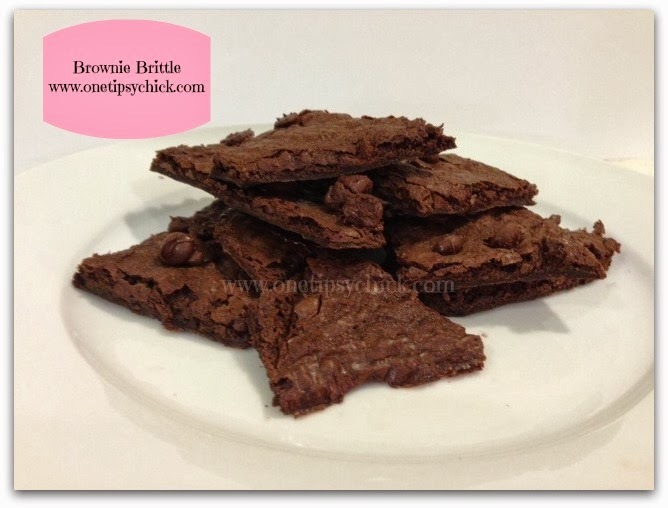 This week's feature is One Tipsy Chick's Brownie Brittle.. I have totally been tempted to buy this in the store. Now that I know it is so easy to make myself, we will definitely be seeing some of this in our house... and soon! You need to head over and see her site. Thanks so much for the great party! I haven't been here for a while and I am sorry about that! I don't have a new recipe but I wanted to come to the party. I hope it's ok if I linked up my latest craft. If you have time come over tonight and link up at my party too. I hope you like my pairing. Its' a recipe of sorts because the food items were carefully thought out to go well together.